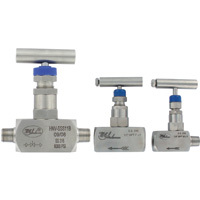 Series HNV Block Manifolds is a barstock style needle valve that is designed for isolating instruments from liquids or gases. 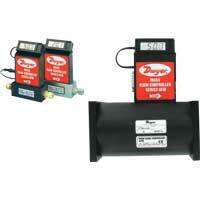 The valve series features fine threading and large seat area to ensure tight shutoff. Wetted materials are 316 SS and PTFE making these ideal for use with corrosives. The HNV has been tested to assure vibration and thermal stability. Body includes a lock pin to prevent accidental bonnet disengagement. 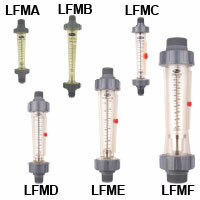 The HNV is available in male x female and female x female connections from 1/8" to 1". Tee handle is constructed of 316 SS and allows low torque operation. 316 SS and PTFE packing. 6000 psi (431 bar) @ 200°F (93°C). 4000 psi (276 bar) @ 464°F (240°C).